We are a biopharmaceutical company pioneering the application of artificial intelligence and big data analytics integrated with drug development expertise. We use our proprietary platforms to advance the next wave of medicines and significantly improve the clinical and regulatory success of drug development. Our goal is to develop innovative medicines in immuno-oncology, neuroscience, and rare diseases with high unmet need. We believe that our Research & Development Engine can result in a disruptive change that will impact pharma productivity and innovation to benefit the entire healthcare ecosystem. BioXcel Therapeutics, Inc. is a clinical stage biopharmaceutical company that utilizes novel artificial intelligence, or AI, to identify the next wave of medicines across neuroscience and immuno-oncology. Our drug re-innovation approach leverages existing approved drugs and/or clinically validated product candidates together with big data and proprietary machine learning algorithms to identify new therapeutic indices. We believe that this differentiated approach has the potential to reduce the cost and time of drug development in diseases with substantial unmet medical need. E.Z. BioXcel, Center of Excellence (CoE) for Research and Development is an innovation hub focused on the development of transformative patient treatments. It houses a rich and diverse cross-functional mix of highly qualified scientific, commercial and medical experts to ensure our partners are able to innovate in an evolving healthcare environment. The center encompasses 100+ years of cumulative drug discovery, development, and management experience in over 100+ indications. We are leveraging our artificial intelligence and big data capabilites to develop a pipeline of product candidates with a high probability of success in immuno-oncology, neurosciences, and rare diseases. List of development programs of our portfolio companies. BioXcel’s IO therapeutic program is the outcome of applying its proprietary Evolvere and PharmGPS platforms to identify combination opportunities in IO. These combinations, primarily with immune check point inhibitors have the potential to be the ‘agents of change’ in the tumor micro-environment. The validity of our platform across solid and hematological malignancies has been established which has lead to BioXcel’s IO candidates in development: BXCL701 and BXCL702. BXCL701 is a first in class, oral, inhibitor of dipeptidyl peptidases being developed for the treatment of solid tumors like prostate, and pancreatic cancers. BXCL701 induces a wide range of pro-inflammatory cytokines and chemokines that results in the priming and activation of immune cells. Further, our data reinforces the tumoricidal potential of BXCL701 for tumor regression and reducing the immune-suppressive T regulatory cells while enhancing the macrophages and NK cells within the tumor micro-environment. It also validates the synergistic anti-tumorigenic and immuno-stimulatory impact of combining BXCL701 with immune check point inhibitors. Our second IO candidate, BXCL702 is an intravenous immunomodulator that targets protein tyrosine phosphatases leading to a direct effect in the induction of cellular differentiation and apoptosis of tumor cells associated with hematological malignancies. The tumoricidal potential of BXCL702 has been further validated in the xenograft mouse model of APL (Acute Promyelocytic Leukemia) as well as in 2D patient derived clonogenic AML (Acute myeloid leukemia) models. In addition, BXCL702 has the capacity to induce immune modulation like that observed with other immune-therapeutic agents like Interferons and immune check point inhibitors. BioXcel’s Neuroscience programs are focused on discovering and developing therapeutics for neurological disorders with high unmet medical need. These include developing disease modifying agents as well as those agents that address symptoms such as Agitation that represent significant unmet need in treating neurological disorders. BXCL501 is our most advanced Neuroscience program, which is being developed for the treatment of acute agitation in patients with schizophrenia and bipolar disorders. It is a selective adrenergic agent with a sublingual route of administration, which provides a quick onset of action, doesn’t produce excessive sedation and is free from any associated side effects. It is well differentiated from routinely used antipsychotics which produce unwanted symptoms such as tremors, neutropenia and extra-pyramidal motor effects. Managing patient agitation in neuropsychiatric disorders represents a signiﬁcant challenge for physicians and caregivers and BXCL501 has the potential to provide an efficient treatment regimen for these patients. BXCL902 is BioXcel’s first Neuroscience program in rare diseases that is focused on treatment of Rett Syndrome (RTT), a rare neurodevelopmental disorder characterized by severe respiratory and autonomic dysfunction, loss of motor skills and epileptiform seizures. Respiratory abnormalities are the leading cause of premature death in approximately 25% of Rett patients. Our lead compound BXCL902, a GABA modulator, offers a unique mechanism of action that will impact respiratory abnormalities in addition to improving motor dysfunction and epileptic seizures in RTT patients. BXCL902 will cater to the huge unmet medical need of RTT patients and will provide transformative care with minimal side effects. Our second rare disease neuroscience program is focused on developing an effective treatment for Krabbe disease (KD) which is a rare neurodegenerative disorder caused by the deficiency of the lysosomal enzyme galactocerebrosidase (GALC). This disease is characterized by progressive demyelination of the central and peripheral nervous system resulting in developmental delay, myoclonic seizure, hypotonia, gait disturbances, etc. Currently, there is no cure for Krabbe disease and recent research has shown that neuro-inflammation plays a significant role in the pathogenesis of this disease. Our program focuses on preventing inflammation induced demyelination and neurodegeneration, leading to a disease modifying effect in Krabbe disease. Developing an effective therapy for Spinocerebellar ataxia type 3 (SCA-3) is the focus of our third rare disease neuroscience program. It is a dominantly inherited ataxia that is characterized by neurological manifestations and progressive ophthalmoplegia. Currently used treatment strategies provide only symptomatic relief for spasticity, dystonia and restless leg syndrome observed in SCA-3 patients. We are targeting the core pathophysiological mechanisms of the disease that will reduce the formation of intranuclear neuronal inclusions and associated neurodegeneration, thereby delaying the progression of the disease. BioXcel is developing a novel approach to address the high unmet medical need of patients suffering from a rare hematological disorder Diamond Blackfan Anemia. This is a ribosomal disorder which is characterized by defective erythropoiesis and an inability to produce enough red blood cells and hemoglobin. BXCL901 is a selective kinase inhibitor which acts on the central pathophysiology of the disease and prevents the dysregulated erythropoietic mechanisms by its impact on several important transcription factors, critical for normal erythropoiesis. This program outlines our effort towards providing transformative care for DBA patients, who so far rely on blood transfusions or stem cell therapies to manage the disease. 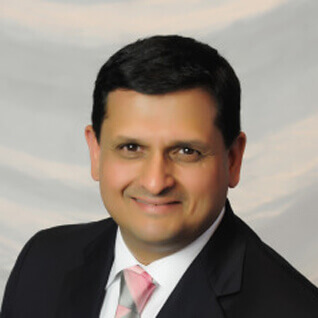 Dr. Mehta brings over two decades of experience in successfully designing and implementing innovative solutions, establishing global commercial operations, leading cross-functional teams and building strong intercontinental client bases. During the length of his career, he has garnered a deep understanding of the biopharma and healthcare ecosystem and has been actively involved in diverse global value generating initiatives encompassing corporate strategy and planning, global business development, and corporate fundraising. He has been instrumental in helping architect the company’s strategic and business trajectory and has been a visionary thinker throughout his career. 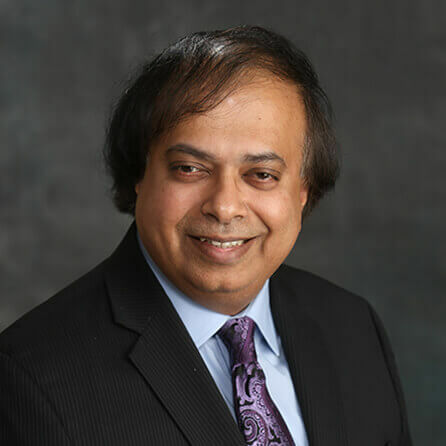 Dr. Nandabalan brings over two decades of experience across multiple functions in the pharmaceutical and biotechnology industries, including research & development, operations, and business development. 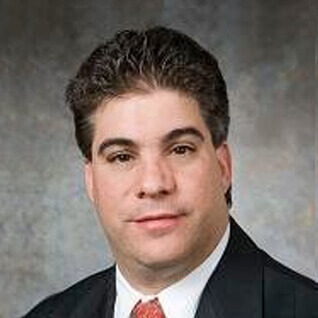 He has extensive experience in M&A and in/out-licensing. He has 12 issued patents and has published in leading journals such as Cell and Science. Dr. Nandabalan has garnered a deep understanding of market trends impacting the global healthcare environment, the pharma value chain, the current unmet medical needs, and in applying novel technologies to solve these needs. Dr. Frank Yocca is a pharma R&D executive and scientist with extensive experience leading global biopharmaceutical companies. He has a wide ranging expertise in leading and working in high performance world-class teams in drug discovery and development that has led to the discovery, development and licensing of prominent neuroscience products including Buspar®, Serzone®Abilify® and Heltioz®. He is a recognized scientific leader in the Neuroscience community and member of the Institute of Medicine of the National Academy of Science, and a Fellow of American College of Neuropsychopharmacology. He has 45 referred articles, 96 abstracts and 65 invited presentations. 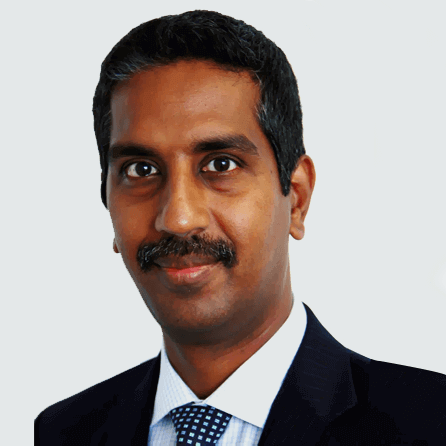 Mr.Mahadevan is responsible for leading the finance and accounting functions of the company and has extensive experience and knowledge of finance management in the software and pharmaceutical industries. 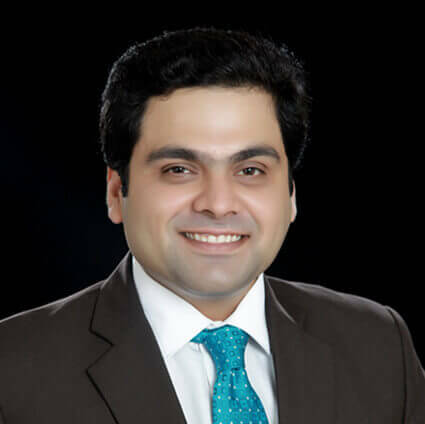 Mr. Sethi has more than a decade of experience, in business management, operations, sales and marketing and has extensive knowledge in growing value driven business operations, including resource planning, and client relationship management. Mr. Kant is a seasoned business development executive with over a decade of experience in establishing strategy, commercial excellence and operations. He has extensive knowledge in building and leading sales & marketing teams to consummate numerous successful deals. He is highly focused and adept at delivering value to partners through technology solutions with a depth of knowledge across Big Data and Artificial Intelligence to impact the biopharma innovation. Mr. Kydonieus is President and Chief Business Officer of R-Pharm U.S. located in Princeton NJ, where he is accelerating the growth and commercial infrastructure through acquisition and licensing of specialty products for Russia’s leading pharmaceutical company R-Pharm CJSC. Prior to starting R-Pharm US he worked at Bristol Myers Squibb for the prior 15 years where he most recently served as Vice President of Strategy, Alliances and Transactions. Mr. Kydonieus is a highly experienced and successful pharmaceutical executive with broad experience in Business Development, Legal, Regulatory and Compliance. 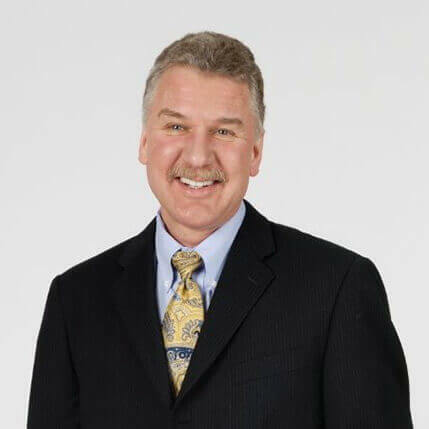 Dr. Laumas is the founder and Chief Executive Officer of Bearing Circle Capital in Greenwich, Connecticut. He started his career at Goldman Sachs & Co. in New York in the Investment Banking Division. 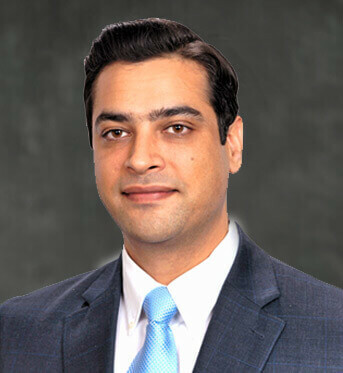 Dr. Laumas then joined Balyasny Asset Management in New York and later moved to North Sound Capital in Greenwich, Connecticut as a Managing Director responsible for global healthcare investments. Dr. Laumas has served as a director of SRL Diagnostics Ltd., Asia’s largest clinical laboratory services company and as a director of Parkway Holdings Ltd. (IHH Healthcare: Singapore: IHH), Asia’s largest hospital company and Innovate Biopharmaceuticals, Inc. Dr. Laumas has a unique industry perspective, particularly in both public and private investments and financial transactions in the healthcare arena. 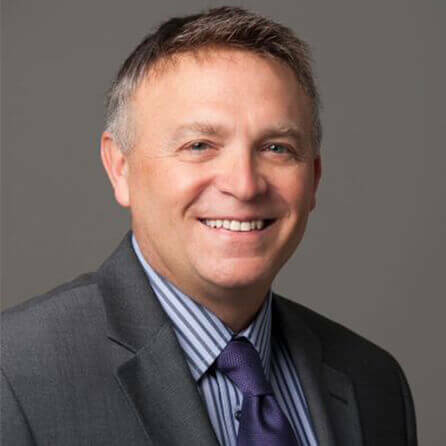 Dr. Peter Mueller is the President of R&D and Chief Scientific Officer at Axcella Health. Prior to joining Axcella, Dr. Mueller served as the Executive Vice President of Global Research and Development & Chief Scientific Officer at Vertex Pharmaceuticals where he provided strategic oversight for Vertex’s worldwide drug discovery and development programs. Under his leadership, the company secured approval for and launched two breakthrough drugs, INCIVEK® (HepC) in 2011, and KALYDECO® (CF) in 2012. Additionally, Vertex submitted both an NDA and MAA for ORKAMBI® (CF). Prior to his time at Vertex, Dr. Mueller served as Senior Vice President, Research and Development, for Boehringer Ingelheim Pharmaceuticals, Inc., where he played a key role in the development of Spiriva®, Combivent®, and Atrovent®. He is a member of various scientific and political societies, including the Gesellschaft Deutscher Chemiker (GDCh) and Verband Chemische Industrie (Germany), Royal Society of Chemistry (U.K.), IRI, RNA-Society, ASAP, AAAS (U.S.A.) and currently serves on several Boards and Scientific Advisory Board in companies and organizations including US-India Chamber of Commerce Biotech, Pharma & Medical Devices Council, University Iowa (CBB), Keystone Symposia, Inhibikase Therapeutics, Inc., and Kaleido Biosciences, Inc. Dr. Mueller received both an undergraduate degree and a Ph.D. in chemistry at the Albert Einstein University of Ulm, Germany, where he also holds a Professorship in Theoretical Organic Chemistry. He completed fellowships in Quantum Pharmacology at Oxford University and in Biophysics at Rochester University. BioXcel’s partnerships are focused on the discovery and ideation of innovative drug candidates with a risk mitigated profile and improved probability of clinical and commercial success. Our partnerships are focused on de-novo drug discovery, drug re-innovation, asset rescue, indication expansion, life-cycle management, and product reformulation opportunities. BRANFORD, Conn., May 24, 2016 (GLOBE NEWSWIRE) — BioXcel Corporation, a global leader in real-time big data platforms for the discovery and development of transformative patient treatments, today announced the initiation of a strategic collaboration with Alnylam Pharmaceuticals to discover novel RNA interference (RNAi) therapeutic products. Alnylam is focused on developing and commercializing RNAi therapeutics – a new class of innovative medicines – with a focus on genetically defined targets for the treatment of serious diseases. Alnylam will leverage BioXcel’s Big Data Innovation Lab* (BDI-Lab) – by integrating the product discovery engine that will apply big data algorithms, recursive mapping and network pharmacology in conjunction with therapeutic expertise to build product blueprints for novel RNAi therapeutic products with a high probability of clinical and commercial success. “We are pleased to join forces with Alnylam and leverage two disruptive platforms to create a portfolio of RNAi products for rare and common diseases. 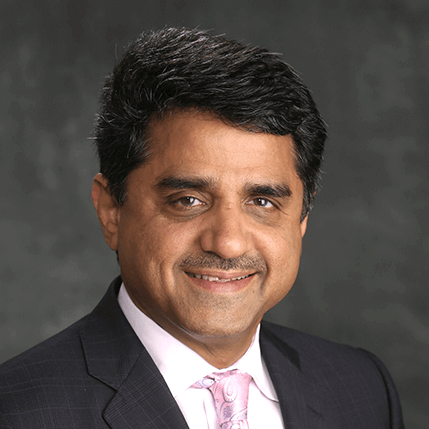 As we continue to collaborate with leading innovative biopharmaceutical companies across the spectrum of therapeutic modalities including RNAi, mRNA, gene therapy, gene editing, amino acid and cell based therapies, we hope to impact patients’ lives by providing novel treatment options,” said Krishnan Nandabalan, Ph.D., BioXcel’s President and Chief Scientific Officer. Under the terms of the agreement, BioXcel will be eligible to receive upfront and development milestone related payments from Alnylam. Financial terms of the agreement were not disclosed. BDI-Lab is a first-of-its-kind ecosystem that identifies novel therapeutic candidates with a high probability of clinical and commercial success. The Lab supports any therapeutic area and modality ranging from small molecules to biologics, cellular- and nucleic acid-based therapies and is accessible to the biopharmaceutical industry through strategic partnerships. The Lab has been built on decades of research and algorithm-based analytics with its core consisting of PharmGPS®, a real-time, predictive, cognitive intelligence platform for designing, strategizing, developing, and commercializing the next breakthrough treatments; a large Center of multi-disciplinary teams with deep domain expertise, to unlock the therapeutic value of technology platforms and pipeline assets; and a highly experienced and therapeutically aligned drug development team whose expertise spans all stages of development across any major therapeutic area or rare disease, to generate drug candidates. About BioXcel BioXcel Corporation is a next generation biotechnology company dedicated to improving the probability of the clinical and commercial success of drugs by applying big data analytics. Using a network based pharmacology approach our first in class Big Data Innovation Lab has generated a clinical pipeline focused on immuno-oncology and CNS orphan diseases representing a new paradigm for deciphering therapeutic value. Committed to innovation, product excellence and partner success, BioXcel’s global collaborations span the biopharmaceutical ecosystem. We are headquartered in Branford, CT, USA. BRANFORD, Conn., Oct. 20, 2015 — BioXcel Corporation, a global leader in cloud-based big data platforms and developer of transformative patient treatments, today announced the initiation of a strategic big data collaboration with Pronutria Biosciences to identify diseases characterized by high unmet need for therapies and nutritional products that are amenable to Pronutria‘s novel technology platform. Pronutria is a biotechnology company pioneering a new class of products to mediate amino acid biology. Through this partnership, Pronutria will utilize BioXcel’s first-in-class Big Data Innovation Lab (BDI-Lab) to develop biologics that leverage its novel platform and amino acid-based approach. BDI-Lab is an integrated product discovery engine which applies big data algorithms, recursive mapping and network pharmacology to build associations and neural networks for deciphering novel treatment options for rare diseases with no current standard of care. Big Data Innovation Lab (BDI-Lab) Our BDI-Lab is built on three key pillars – PharmGPS™, a live cloud-based big data analytics platform built on proprietary algorithms and predictive analytics, multi-disciplinary teams of researchers based in our Integrated Center of Xcellence and a highly experienced and therapeutically aligned drug development team. Our live and multi-dimensional PharmGPS™ platform leverages BioXcel’s proprietary Orphan Disease Suite that encompasses more than 9,000 rare and ultra-rare diseases, 4,000-5,000 associated genes, 1,500 disease pathways, and distinct target-indication tiles for antibody, protein, RNA, small molecule and gene therapy modalities. Partners can make informed decisions related to rare disease indications, and associate the ideal mode of pharmacotherapy, factoring in strategic, medical, scientific and commercial considerations. The suite enables the commercialization of orphan drugs via de novo drug discovery, or repurposing and reformulation of clinical assets (drug rescue) based on disease severity, gene ontology, disease pathways, proteinopathy, standard of care, emerging innovation, enabling technologies, and current drug pipeline – all of which are crucial when addressing the high unmet need of patients with rare and ultra rare diseases. About BioXcel: BioXcel is a global leader in providing cloud-based Pharma big data solutions for discovering novel products and performance benchmarking of pipeline innovation and marketed products in all major therapeutic areas. Our first in class Big Data Innovation Lab is focused on the development of transformative patient treatments for strategic portfolio growth and leverages; PharmGPS™ – a live analytics platform; an Integrated Center of Xcellence housing multidisciplinary scientific, commercial and medical teams; and a drug development team that offers deep domain expertise. Committed to innovation, product excellence and partner success, BioXcel’s global collaborations span the biopharmaceutical ecosystem. We are headquartered in Branford, CT, USA with operations in Asia. BRANFORD, Conn., Jan 11, 2016 — BioXcel Corporation, a global leader in developing cloud-based big data platforms and transformative patient treatments, today announced a strategic big data collaboration with Centrexion Therapeutics to develop a portfolio of clinical pain therapeutic assets. Centrexion is focused on developing and commercializing new treatments for chronic pain with better efficacy and safety than current treatment paradigms. Through this collaboration, Centrexion will leverage BioXcel’s first-in-class Big Data Innovation Lab (BDI-Lab) to generate optimal therapeutic value at the intersection of pain biology and differentiated products with a higher probability of clinical and commercial success. This complex association of drugs and disease will involve big data analytics to decipher network pharmacology combined with deep expertise to generate product development blueprints for transformational pain therapeutics. “This partnership allows us to combine our distinctive translational medicine approach with BioXcel’s world-class big data platform and discovery engine to develop new non-opioid therapies to treat chronic pain. We are pleased to partner with BioXcel on this important initiative and to deliver new and innovative solutions to patients in need,” said Kerrie Brady Chief Business Officer, Centrexion Therapeutics. Under the terms of the agreement, BioXcel will receive an upfront payment, as well as development and commercial milestone payments. Financial details are not disclosed. About BioXcel: BioXcel is a global leader in providing cloud-based Pharma big data solutions for discovering novel products and performance benchmarking of pipeline innovation and marketed products in all major therapeutic areas. Our first in class Big Data Innovation Lab is focused on the development of transformative patient treatments for strategic portfolio growth and leverages; PharmGPS® – a live analytics platform; an Integrated Center of Xcellence housing multidisciplinary scientific, commercial and medical teams; and a drug development team that offers deep domain expertise. Committed to innovation, product excellence and partner success, BioXcel’s global collaborations span the biopharmaceutical ecosystem. We are headquartered in Branford, CT, USA with operations in Asia. Branford, CT, USA, April 9, 2015: BioXcel Corporation, a global leader in providing cloud-based Pharma big data solutions for discovering novel products, announced today that it has entered into a partnership with Takeda Development Center Americas (“Takeda”), for the repurposing of assets across the gamut of rare diseases. Through this partnership, Takeda, a global research-based company with a focus on innovation in medicine for the health of people worldwide, will gain access to and leverage BioXcel’s Big Data Innovation Lab – an integrated product discovery engine – and PharmGPS™ Orphan Disease Suite for drug discovery and repurposing. About PharmGPS™ Orphan Disease Suite: A live and multi-dimensional platform, BioXcel’s proprietary suite encompasses more than 9,000 rare and ultra-rare diseases, 4,000-5,000 associated genes, 1,500 disease pathways, and distinct target-indication tiles for antibody, protein, RNA, small molecule and gene therapy modalities. Partners can make informed decisions related to rare disease indications, and associate the ideal mode of pharmacotherapy, factoring in strategic, medical, scientific and commercial considerations. The suite enables the commercialization of orphan drugs via de novo drug discovery, or repurposing and reformulation of clinical assets (drug rescue) based on disease severity, gene ontology, disease pathways, proteinopathy, standard of care, emerging innovation, enabling technologies, and current drug pipeline – all of which are crucial when addressing the high unmet need of patients with rare and ultra rare diseases. About BioXcel: BioXcel is a global leader in providing cloud-based Pharma big data solutions for discovering novel products and performance benchmarking of pipeline innovation and marketed products in all major therapeutic areas. Our first in class Big Data Innovation Lab is focused on the development of transformative patient treatments for strategic portfolio growth and leverages; PharmGPS™ – a live analytics platform; an Integrated Center of Xcellence housing multidisciplinary scientific, commercial and medical teams; and an executive team that offers deep domain expertise. Committed to innovation, product excellence and partner success, BioXcel’s global collaborations span the biopharmaceutical ecosystem. We are headquartered in Branford, CT, USA with operations in Asia. The recent uptick in interest in drug repurposing, the popularity of which ebbs and flows, could give the team a tailwind. Astellas Pharma has struck a clutch of deals since making repurposing a cornerstone of its R&D strategy in 2015. And Allergan, Sanofi and Takeda have signed deals with NuMedii, Recursion Pharmaceuticals and BioXcel, respectively, over the past two years. This activity shows there is both Big Pharma demand for repurposing services that can unlock the full value of molecules and a growing pool of startups trying to meet this need. The outstanding question is whether the current wave of projects will deliver on the promise of the technology. CBiotechnology is no stranger to the creation and analysis of large amounts of data, whether it is “-omics” in nature or from patients in clinical trials. However, having access to masses of datasets is only a good starting point; sooner or later actionable information will need to be drawn from those resources. That is why so much buzz has been created by the term “big data,” which encompasses a range of initiatives being created to develop new methods, tools and analytics, to take advantage of the very large, complex and diverse datasets being created from biomedical research. Branford, Conn.,-based Bioxcel Corp. is working with industry partners to help improve upon its decision-making in drug discovery. The firm has developed a cloud-based big-data analytics platform, known as PharmGPS a disease area-focused, analytics engine encompassing all major and specialty therapeutic areas. The platform draws together data and knowledge from the clinical and patient outcomes arena as well as the molecular research environment. Using a big data approach to those multiple, and often diverse datasets, key insights can be derived for the most appropriate drug discovery strategy. Recently, the company introduced an orphan disease suite to aid in the discovery, development, licensing and commercialization of drugs for the approximately 7,000 rare and ultra-rare diseases that have been identified. The company noted that less than 5 percent of rare diseases currently have effective treatments. Adding to the complexity is the fact that those diseases span multiple therapeutic areas. The firm’s underlying metadata and analytics for the gamut of orphan diseases, its 3,000 associated genes and hundreds of disease pathways related to therapeutic modality, is designed to address that complexity in a highly systematic manner and help partners explore innovative ideas and uncover valuable potential therapeutic approaches. Centrexion Therapeutics, a company focused on advancing chronic pain treatment with new non-opioid and non-surgical therapies, today announced the expansion of its proprietary pipeline with the acquisition of three new analgesic candidates from Boehringer Ingelheim. The company’s proprietary pipeline consists of the first and only injectable analgesic capsaicin, known as trans-capsaicin, which is currently being evaluated in clinical trials for the treatment of pain associated with chronic conditions. Centrexion Therapeutics was founded in November 2013 and is led by former Celgene Chairman and CEO, Sol Barer, Ph.D., who chairs the company’s Board of Directors, and Jeffrey Kindler, former Chairman and CEO of Pfizer, who serves as the company’s CEO. The company is well financed having raised $58 million to-date. CNTX-6970 is a novel, potent and selective cytokine CCR2 antagonist with a unique analgesic profile. This small-molecule agent has shown promising efficacy in multiple animal models of inflammatory pain and has recently demonstrated safety and binding to its target in a single ascending dose Phase 1 clinical study. Centrexion Therapeutics will take over finalization of the Phase 1 program. CNTX-6016 is the first of a new generation of potent and “super-selective” cannabinoid CB2 agonists. It is 20,000 times more selective for the CB2 receptor than for the CB1 receptor and thereby able to achieve pain relief without the euphoric and other side effects seen with less selective agonists. Efficacy has been shown in multiple neuropathic pain models with no central nervous system (CNS) side effects. CNTX-6016 is IND-ready. CNTX-0290, a first-in-class, potent and selective somatostatin SSTR4 agonist, is a completely novel pain target. It has demonstrated very broad efficacy in multiple animal models of chronic pain and has the potential to treat inflammatory, nociceptive, neuropathic and mixed chronic pain states. CNTX-0290 is IND-ready. “Boehringer Ingelheim is shifting its strategic focus to key CNS symptom domains with high medical need across a range of neuropsychiatric diseases, such as Alzheimer’s disease, schizophrenia and depression. As such, we are delighted to see that promising therapies from our pain portfolio are now in the capable hands of the Centrexion Therapeutics team of experienced drug developers who are first and foremost committed to improving the lives of patients coping with chronic pain, while creating value for both companies and their shareholders,” said Klaus Mendla, Global Head of Business Development and Licensing CNS at Boehringer Ingelheim. The financial terms of the Boehringer Ingelheim acquisition were not disclosed. These programs expand the company’s current pipeline, led by CNTX-4975, a highly potent, ultrapure, synthetic form of capsaicin (a derivative of the chili plant), called trans-capsaicin, which is the first and only patented capsaicin designed to be administered via injection directly into the site of pain. CNTX-4975 was developed in a research lab at The Johns Hopkins School of Medicine by Centrexion Therapeutics Co-founder, President and Chief Scientific Officer, James Campbell, M.D., and is currently being evaluated for the treatment of knee osteoarthritis (OA) pain in humans and pet dogs and for Morton’s neuroma pain, a rare, painful nerve disorder in the foot. CNTX-4975 works by targeting the capsaicin receptor (also known as TRPV1) to inactivate the nerve fibers transmitting pain signals to the brain – a therapeutic effect that can last for months until the nerve fiber regenerates. Through its targeted delivery process and method of action, CNTX-4975 manages pain without disrupting nerve functions in the surrounding regions. Centrexion Therapeutics studies its therapies in companion animals with the same naturally-occurring (vs. artificially–induced) pain-causing disease conditions that are common to both humans and animals. By validating the safety and therapeutic effect of its treatments in both animals and humans, the company is able to work on parallel tracks to develop human and veterinary treatments. 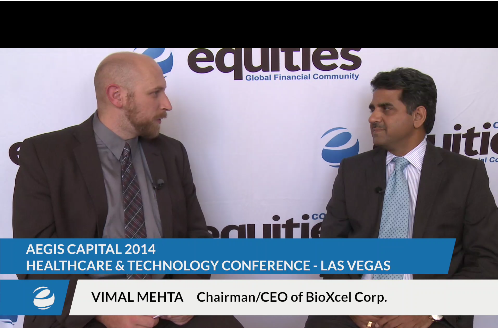 By incorporating the power of big data analytics through a strategic collaboration with BioXcel, a pioneer in cloud-based pharma big data analytics solutions for healthcare, Centrexion Therapeutics is able to rapidly mine and link vast multidisciplinary streams of data to create well-founded scientific and commercial rationales to inform and de-risk indication selection and clinical development of its pipeline. View full management team bios on our website. “With a seasoned executive like Jeff at the helm leading a world-class management team with deep expertise in pain treatment and a proven industry track record, Centrexion Therapeutics promises to be a formidable player in the chronic pain therapeutics arena,” added Dr. Barer. Chronic pain affects 100 million people in the United States and 270 million people worldwide, and currently available treatments often lack adequate efficacy and are associated with numerous side effects. The total annual incremental cost of health care due to pain ranges from $560 billion to $635 billion in the U.S., which combines the medical costs of pain care and the economic costs related to disability days, lost wages and productivity. Despite the availability of a variety of pain treatment options ranging from opioids and NSAIDs, to hyaluronic acid and surgery, millions of people continue to live with chronic, debilitating pain. Centrexion Therapeutics, Inc., is focused on developing and commercializing new, non-opioid and non-surgical treatments for moderate to severe chronic pain. Centrexion Therapeutics recognizes the needs of over a quarter of a billion patients living with chronic pain worldwide, and aims to develop new, safer and more effective therapies that overcome the limitations and challenges associated with current pain treatments. Founded by world-renowned leaders in drug development and well-funded by key investors, Centrexion Therapeutics is building a pain treatment powerhouse to address the substantial and growing global problem of chronic pain. For more information about Centrexion, visit http://www.centrexion.com. BioXcel Corporation has announced the launch of its first-in-class PharmGPS Oncology and Immuno-Oncology Suite, which uses big data technology to help biopharmaceutical companies and other stakeholders identify and prioritize the those immunotherapy candidates in their portfolios with the best potential to improve patient outcomes. The PharmGPS suite currently includes over 40 tumor types, 115 validated drugs and new targets, 484 unique drugs and drug combinations, and several modalities, like cellular therapies, vaccines, immunotherapies and targeted therapies, the company reported. The intended goal is to help companies optimize their portfolios and pipeline assets by pinpointing and prioritizing mono- and combo therapies that have the highest potential to improve patient outcomes for specific tumor types. The interface also provides an overview of the immuno-oncologylandscape, target-drug-pathway-indication networks, and scenario assessments of potential therapeutic results. “Our first-of-its-kind big data analytics platform is integrating and expanding upon decades of knowledge in the oncology space to drive therapeutic innovation and improve patient outcomes. We believe that PharmGPS® Oncology and Immuno-Oncology Suite has the potential to become an indispensable tool for our biopharma customers and partners, and a critical asset for BioXcel as we build our own portfolio of oncology assets,” said Luca Rastelli, PhD, vice president of Oncology R&D at BioXcel. BioXcel said today it has joined with Takeda Pharmaceutical’s U.S.-based global development group to repurpose compounds into new treatments for rare diseases. The value of the partnership was not disclosed. BioXcel said the expertise of its Big Data Innovation Lab will be tapped in its new partnership with Takeda Development Center Americas. The “innovation lab” is an integrated product-discovery engine designed to apply recursive mapping and big data algorithms toward drug discovery. Lab components include the Integrated Center of Xcellence—a hub for medical, clinical, commercial, scientific, IP, and technology experts—and PharmGPS™ Orphan Disease Suite, a live analytics platform that encompasses more than 9,000 rare and ultra-rare diseases, 4,000-5,000 associated genes, 1,500 disease pathways, and distinct target-indication tiles for antibody, protein, RNA, small molecule, and gene therapy modalities. BioXcel says PharmGPS enables commercialization of orphan drugs either via de novo drug discovery, or repurposing and reformulation of older compounds based on disease severity, gene ontology, disease pathways, proteinopathy, standard of care, emerging innovation, enabling technologies, and current drug pipeline. Discovering novel applications for existing molecules is an increasingly attractive strategy to address patient needs, while capitalizing on previous investments and de-risking clinical development. Our Big Data Innovation Lab facilitates the repurposing of the most attractive candidates applicable to a given disease,” BioXcel CEO and Chairman, Vimal Mehta, Ph.D., said in a statement. BioXcel provides cloud-based big data solutions for biopharmas—both in discovering new products, and benchmarking pipeline innovation and marketed products. Rare diseases do not show up among Takeda’s core therapeutic areas (cardiovascular and metabolic, CNS, immunology and respiratory, oncology, and “general medicine”). However, the pharma giant has had a recent success in the specialty: In December, Takeda won FDA’s Breakthrough Therapy designation for its Phase III treatment oral proteasome inhibitor ixazomib (MLN9708) in relapsed or refractory systemic light-chain (AL) amyloidosis. Nearly 3,000 cases of the rare protein misfolding disorder are diagnosed in the U.S. every year. Ixazomib is also under study for multiple myeloma and other malignancies. Takeda is the second drug developer this year to ink a partnership with BioXcel using Big Data Innovation Lab. In January, Alexion joined BioXcel to launch a big data project intended to characterize and prioritize pertinent sets of rare diseases for potential treatments. Bioxcel’s popularity grew exponentially following the recent news that Alexion Pharmaceuticals is using their platform “Orphan Drug Suite” to assist the orphan drug company in developing and/or discovering new treatments. In this exclusive interview with Rare Disease Report (RDR), Krishnan Nandabalan, PhD, President, CSO and Co-Founder, BioXcel Corporation talks about this exciting new software program and its potential value to companies/institutions interested in orphan drug discovery and development. RDR: What is Orphan Drug Suite? Dr. Nandabalan: PharmGPSTM Orphan Disease Suite, part of our Big Data Innovation Lab, is a first-in-class platform that enables the discovery and development of new product candidates to treat rare and ultra-rare diseases. The Suite characterizes more than 9,000 orphan diseases based on need for transformative care ( ie, Life saving, remove the need for organ transplantation or delays, delays need for surgery, reduces or eliminates hospitalization, significant reduction in morbidity leading to substantial increase in quality of life), and utilizes this analysis and meta-data to identify therapeutic candidates including RNA, gene and cell therapies as well as antibody and small molecule therapies. In addition to supporting the discovery of new therapeutic candidates, PharmGPS Orphan Disease Suite offers robust predictive capabilities, enabling drug developers to forecast the potential success of a pipeline candidate based on criteria such as clinical performance; potential for regulatory approvals; commercialization potential and attractiveness to potential partners/licensors/acquirers. Why did the company focus rare diseases? There are more than 9,000 diseases that currently meet the criteria for orphan designation. The majority of these diseases have no FDA-approved treatments, creating a significant unmet medical need and a large market opportunity for pharma and biotech companies. How is orphan drug suite different from other programs? The Orphan Disease Suite of PharmGPS is a unique analytics platform that combines Big Data approaches with traditional data mining and processing. Scientific and clinical data that pertain to any specific disease – for example, a liver ailment, is analyzed in the context of the unmet need of that specific disease resulting in the development of safe and efficacious therapeutic solutions that will create a transformative drug for that disease. PharmGPS is unique in that it aggregates and analyzes any and data types to achieve this aim. The different data sources include epidemiological, scientific, clinical, genomic, electronic medical records, and patient reported data among many others. How was the program developed and how is it maintained/updated? The orphan disease suite of PharmGPS was developed as a result of working with pharmaceutical companies interested in developing drugs for orphan diseases. The methodology used in PharmGPS was developed iteratively over several programs aimed at discovering new drugs for orphan diseases, which were later validated through rigorous experimentation. The platform consists of raw data accessed from any and every relevant public source which is updated on a daily basis. BioXcel is equipped to do this with its multi-disciplinary team of more than 70 analysts coming from scientific, medical, commercial and IT-Big Data backgrounds. The infrastructure is maintained in the cloud so that it is accessible universally. Find an old unused treatment for a rare disease? Creating new combinations of two or more previously used drugs that result in repurposing. With a pool of over 18,000 active pharmaceutical ingredients—including those in development or simply “parked’, the platform is able to assess for and prioritize the ingredients that will most likely have a ‘transformative’ effect for a given disease indication based on a defined set or requirements. Develop a better understanding of the pathophysiology of a rare disease based on data from more common ailments? Alexion Pharmaceuticals ($ALXN) has turned to Big Data specialist BioXcel for help identifying its next blockbuster rare disease drug. BioXcel is applying its rare disease database to the collaboration, which aims to figure out which indications are most likely to benefit from various therapeutics. The database covers 9,000 rare diseases plus up to 5,000 associated genes, 1,500 disease pathways and potential targets for a range of treatment classes, such as antibodies, proteins, small molecules and gene therapies. A 50-person team working out of Gurgaon, India, will use the resource and linked target product profile design tool to map out in which indications a drug might prove effective and predict how it may fare commercially. Branford, CT-based BioXcel was founded back in 2005, but its push into rare diseases is a recent development. The Big Data analytics player took the wraps off its new offering in June, at which time the database included details on 6,800 rare diseases. Since then BioXcel has continued to expand the platform and now has the validation of a partnership with a big-name rare disease player that has a blockbuster drug in its portfolio. This video interview may include forward-looking statements that involve risks and uncertainties. Forward- looking statements are statements that are not historical facts and are subject to risks and uncertainties, which could cause actual results to differ from the forward-looking statements. To read our full disclosure, please go to: http://www.equities.com/disclaimer. Biotechnology is no stranger to the creation and analysis of large amounts of data, whether it is “-omics” in nature or from patients in clinical trials. However, having access to masses of datasets is only a good starting point; sooner or later actionable information will need to be drawn from those resources. In this second of a continuing series, we look at two companies that have developed advanced analytics platforms and tools designed to interpret big data that will ultimately help accelerate the drug discovery process. There is no doubt that being able to harness and mine the utility of those big data will be critical for innovative drug development going forward. Yet reducing massive databases into byte-sized pieces that are both meaningful and actionable represents an enormous leap, and we are only just beginning to figure out how to take the first steps in that process. The Boston-based company, which was co-founded by billionaire businessman, venture capitalist and real estate mogul Carl Berg, is positioning itself at the cutting edge of supercomputing, artificial intelligence and drug discovery. From higher order mathematics and predictive algorithms, the company is flipping the drug discovery model and using those tools to allow the body to “tell us what has gone wrong and design drugs from that starting point,” Narain noted. The platform has allowed the company to build a portfolio of early stage drug candidates and diagnostics across multiple indications, with the largest concentration in cancer. The early expression of that activity is BPM 31510, currently in phase Ib trials for solid tumors and is among the first cancer drugs ever to be identified through artificial intelligence, the company said. Since cancer cells like to grow in a low oxygen and high lactic acid environment, the molecule, which resides in mitochondria, aims to restore oxidative phosphorylation and confer re-capitulation of the BCL-2 protein family potential to induce cell death, a process cancer evades. The trial for BPM 31510 in 300 to 400 patients with solid tumors, including pancreatic, triple-negative breast cancer, liver cancer and brain cancer, is ongoing. The program will make use of the company’s drug discovery platform to characterize a molecular and metabolic footprint for each patient based on multiple tissue samples. The data will allow investigators to assess response of the patients’ cells to treatment. That information can then be used in subsequent patient selection in later clinical trials.